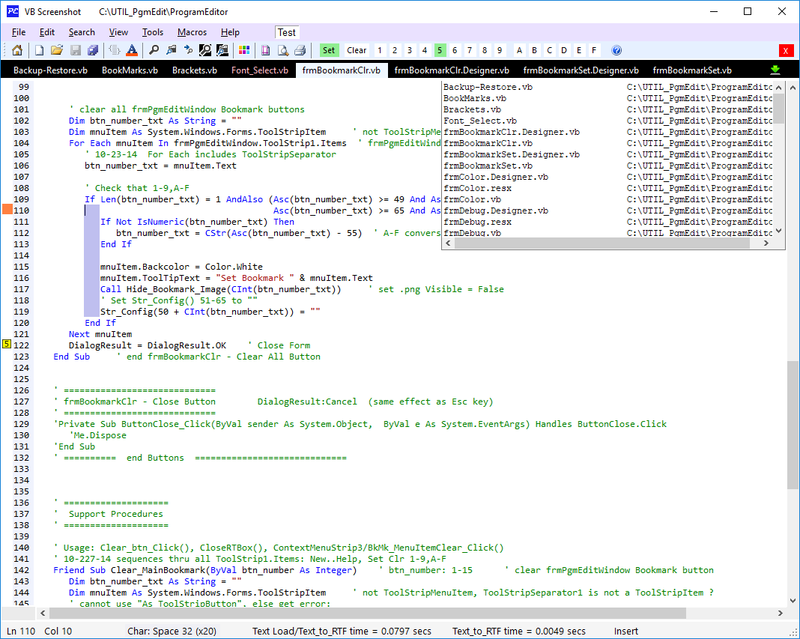 ProgramEdit (PgmEdit) is a free Windows® source-code editor and ASCII text editor. 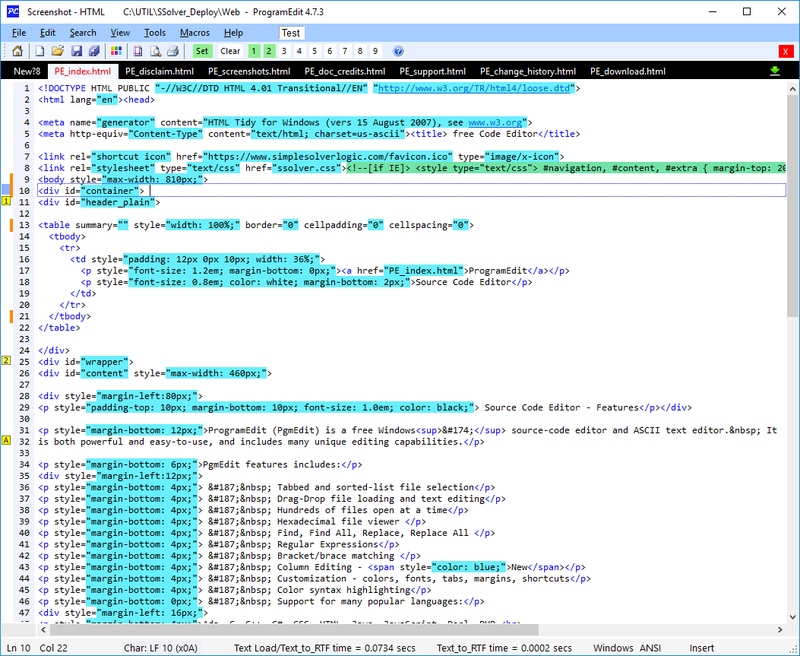 It is both powerful and easy-to-use, and includes many unique editing capabilities. Because PgmEdit is built using Microsoft .NET technology, the user interface is highly consistent with other Windows applications including MS Visual Studio and Word.